Small, reusable ice pack delivers cold therapy to small areas for pain relief. Durable and flexible ice pack to help reduce swelling/inflammation and alleviate pain. Universal, reusable cold pack to help alleviate pain or muscle soreness. Half-sized ice pack to help treat sports injuries or muscle pulls, and prevent DOMS. High-intensity sports demand a lot from our ankles. With the constant cutting, jumping, running, change in direction and the need to be quick on your toes, you want to make sure your ankles can handle the movement without sustaining injury. 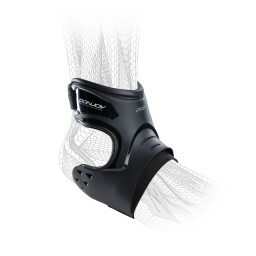 This is where DonJoy Performance ankle braces come into play. Our Bionic line offers maximum protection from forces that may push your ankle into a sprain or injury. 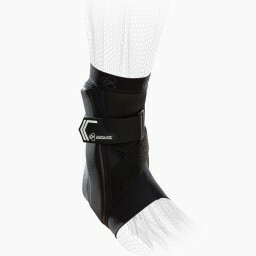 Designed for athletes, the Bionic ankle brace can protect your ankle from rolling while still allowing you to move quickly and freely. Our Trizone line offers an a lightweight, low-profile compression ankle sleeve which provides mild support for those looking for stability and improved circulation. 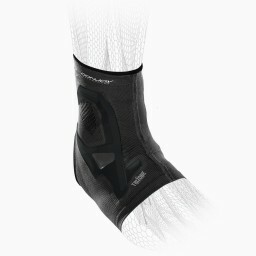 An ankle sleeve can easily fit into your shoes or cleats and is ideal for athletes with weak ankles.